What’s Solo-Travelling Like For A Girl In 2016? In 2016, we are seeing a rising trend in the number of solo female travellers. 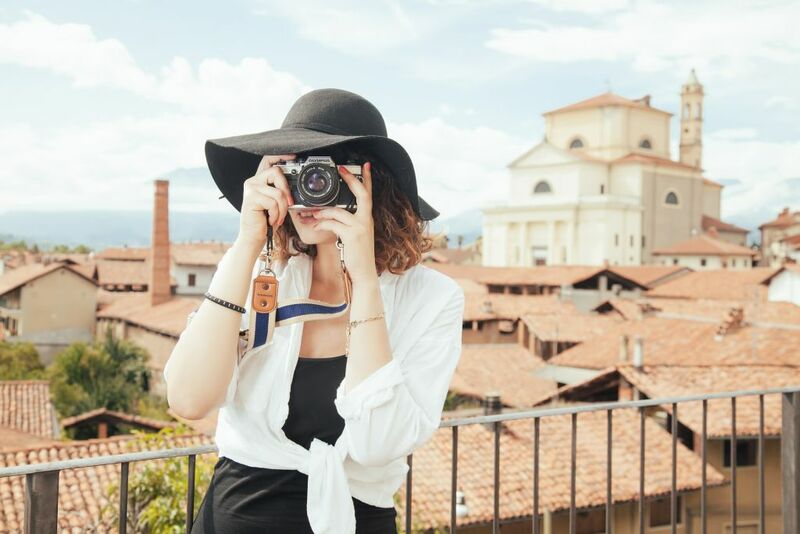 According to Visa’s 2015 Global Travel Intention Study, 1 in 5 females have travelled solo in the past year, while Google Trends indicate a growing interest with a rise in searches for “solo female travel”. Not surprisingly however, the top results that appear after a quick Google search on solo female travel are all to do with safety concerns and tips for the female solo traveller. Many people hold preconceptions towards solo female travel and those concerns are justified. People believe that no amount of preparation can shield you from the dangers of the world. Even the most comprehensive travel guides fail to mention safety tips for solo travelers (male or female). We’ve all come across our fair share of horror stories, from common ones like getting robbed or getting taken advantage of, to the more horrifying news of murdered travelers. The press can paint a terrifying picture of solo female travel and make a country seem more dangerous than it actually is (stories of Olympiads before the Rio Olympic Games 2016). But in all honesty, bad things can happen to anyone while travelling- male or female. As females, we are certainly more vulnerable to certain things than men, and that’s just the way it is. It’s not that men don’t need to be careful when travelling alone; us females just have different concerns we need to take note of. Book a hostel or Airbnb in a safe area and try to plan to arrive in daylight. In the light of day, you have the security net of dozens of people going about their daily business. You can also do a quick online search of the neighbourhood to see if it’s a safe area. You might have to pay a little more to stay in a better location but don’t place money above your own safety – it really isn’t worth it. An extra tip is to find accommodation that is conveniently located to public transport so that your commute from the station/stop to the accommodation isn’t a long one. Avoid couch-surfing if you can. Even if you’re on a tight budget, I would highly advise against couch-surfing. If you find yourself with no option but to couch-surf, do read the reviews of the host carefully or get recommendations from fellow travelers you meet on the road. Don’t choose solo male hosts as it opens up the possibility of trouble you don’t want or need. Keep your guard up in certain situations and avail on common sense such as not staying out by yourself till the wee hours of the night. Your instinct can be your best defence weapon. Learn the local emergency numbers. Search for the emergency numbers online or check with the staff at your lodgings – this could just be your lifeline if you find yourself lost or in a potentially dangerous situation. As tourists, we are probably given a little leeway in our choice of outfits. However, in certain countries or cultures, wearing inappropriate clothes can be frowned upon at best, or invite physical trouble at worst. Respect the culture and do some basic research on what the locals wear and try your best to fit in where possible. I’ve come to realise that being out of my comfort zone is sometimes when the best things happen – it’s exhilarating. You don’t have someone to rely on so you learn to trust yourself – you don’t have someone to talk to all the time so you make new friends, especially with locals. There will be times when you’re lonely, lost and afraid – and that’s okay. Hold onto some fears, after-all it keeps you alert and on your toes. You will get your trust broken by someone and your faith renewed by another; you will experience the bad in this world, perhaps in the nimble fingers of a pickpocket, but more importantly, the good – in the kindness of strangers, readily given in the most unexpected of places. It iss part of the journey, and eventually you find ways to deal with it and it becomes another interesting story to tuck away for when you get back. Travelling solo is a journey of self-exploration and growth. In time, you will know when to place your trust in new friends and when to heed your instinct when the ghosts of misfortune lurk near. At the end you will emerge a little braver, a little wiser with the knowledge that experience brings, and definitely a little more confident. Then, you’ll either be hooked on solo travel or just glad you did it at least once.